What happens when you give talented people access to other talented people, space, and time? If you’re dealing with 38 theater folk and give them two and a half weeks, seven studios, and $25 per project, the result might look something like the Sky Festival, which recently culminated in two days filled with 13 fully (well, mostly) staged, one-hour productions. It was a magical whirlwind event (“Isn’t this like Edinburgh?” people were saying in the hallway, “Isn’t it sort of like Cannes?”), leaving us awestruck by the amazing people we have the fortune to interact with on a daily basis. 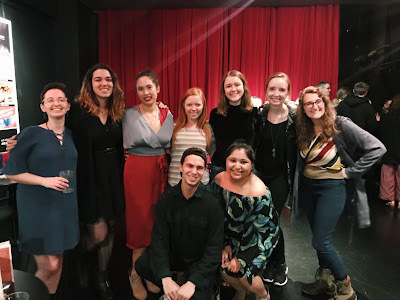 We were there to support A.C.T.’s Master of Fine Arts Program students and faculty, but we were also there for ourselves to witness examples of what theater looks like when its makers are at their most raw and passionate. While the directors had to negotiate with next-to-no budget and competing demands for actors and space, they did not have to compromise their visions—in this consequence-free zone, they could take whatever creative risks they wanted to. And they did. Core acting company member Manoel Felciano gave a beautifully insightful interpretation of Harold Pinter’s The Collection, while co-head of voice and dialects Nancy Benjamin staged Aphra Behn’s bawdy and raucous The Rover, updating it so that the lascivious men are not welcomed back with matrimonial arms. Third-year student Shinelle Azoroh directed a bare-bones production of In the Continuum, by Danai Gurira and Nikkole Salter, a haunting tour de force about being a woman with AIDS in Africa and black America, and acted in her one one-woman show, Cinnamon, about being a woman of color working in the theater. We were treated to third-year Brian Jansen’s solo performance of Glen Berger’s Underneath the Lintel (directed by co-head of voice and dialects Jill Walmsley Zager), one man’s quest to track down the mythical Wandering Jew, and third-year Richard Prioleau transformed one of our larger studios into a bar for his production of Tennessee Williams’s The Confessional. Third-year Josh Roberts staged his compelling documentary drama, Red State/Blue State Project, based on interviews he conducted with columnists, statesmen, activists, and ordinary people just before entering the M.F.A. Program; and second-year Jason Frank explored the ridiculousness and wisdom of childhood in his dramatic adaptation of the Calvin and Hobbes comic strip series. The two-day event was capped by A.C.T. Dramaturg and Head of Humanities Michael Paller’s nuanced staging of David Mamet’s A Life in the Theatre and second-year Alex Crowther’s production of the crime thriller The End of Civilization, by Canadian George F. Walker. And then, of course, there were the three projects that A.C.T. Publications and Literary Associate Dan Rubin has been following. Enjoy his Sky Festival wrap up, below. It’s Prince Hal’s famously heroic St. Crispen’s Day speech from Henry V, spoken here by a supposed ne’er-do-well. And here we first see the question Bradley’s Thieves poses. Through this raucous, glam-rock, music- and movement-oriented interpretation of a Shakespeare’s classic, Matt is asking, How much good do we take away from those bad elements in our lives? As first-year Rebekah Brockman told me a week ago when I asked her about Thieves, relationships are always complicated. We cannot write any of them off. Over the course of an hour, we come to adore these miscreants and hate Hal’s father, the king (who, for one thing, sodomizes Hal with a drumstick the first time we meet him), and the establishment that will tear apart these friendships. This was Matt’s intended effect. The cast gathers together—still in character, but perhaps not—and announces that there had been a tenth scene which showed Hal crowned king and the thieves chased away, but they “didn’t have the heart to stage it.” Instead the show ends with the disheartened band saying, “Goodbye. Remember us. For we too have lived, laughed, and loved.” Matt closes with a military roll on his snare. 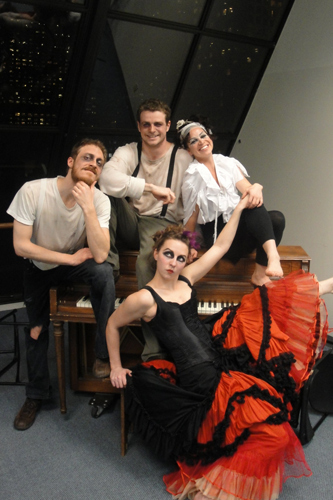 The thieves of Eastcheap raise a toast: (L to R) Jason Frank, Jessica Kitchens, Tyee J. Tilghman, Zachary Moull, Titus Tompkins, and Rebekah Brockman. Director Matt Bradley watches from his post at the drum set, while the king (Dan Clegg) looks on disapprovingly through the window. The first day of performances ends with Marisa Duchowny’s production of John Patrick Shanley’s The Wild Goose. Outside the studio windows, the sky is fading into a rich twilight blue, giving the low-budget floor lights Marisa has set up maximum effect. Projections on a side wall introduce the players in silent-movie fashion, and the show takes off. I happen to be sitting near Marisa, and it’s as much fun to watch her as it is her actors. She’s all smiles, and she beams with adoration for her cast. She’s enjoying herself too much to be nervous—or maybe she just hides it well. This one-time performance is still a process of discovery, and she laughs gleefully as her actors find new moments onstage. This is the joy of the theater—the perpetual newness. JAMESON: The churches are dead! The schools are burning! And I’m in the theatre! . . . Once the gods abandon a place, they never return! Once the gods abandon a temple, a church, a grotto, they never return to that place. That is the historical truth of unrecordable experience. RAMONA: Have the gods left the theater? JAMESON: You know, I don’t believe they have. 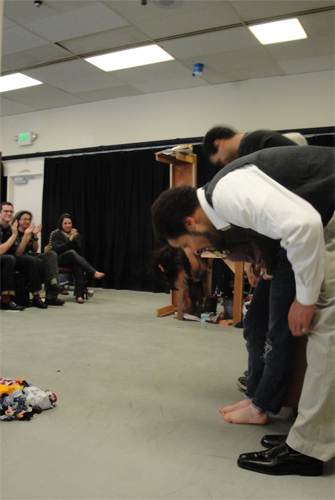 And then Renaldo (played by first-year Ethan Frank), who was dead, jumps up, perfectly alive. This is the magic of theater: anything can happen if you believe it can happen. So long as people have faith in the theater, the theater will continue to be a place where we can “scrape together . . . communal feeling,” even when the rest of culture has collapsed. The play ends with another resurrection. The titular character—that is, the wild goose—played by Marisa herself (in a fabulously inventive getup), plummets onto the stage with a bullet through its heart. Out of their despair, the characters concoct plan borrowed from the near-death experience of Peter Pan’s Tinker Bell: Romana pleads with us to muster “enough brotherly, sisterly trust to sing ‘Take Me Out to the Ballgame’ and resurrect this holy goose!” They begin singing. We begin singing. We begin singing because we want that goose to come back to life. We begin singing because we who have been taking in and soaking up miraculous, soul-stirring theater all day want so badly to give something back, something more than just applause. So we sing perhaps the most rousing rendition of “Take Me Out to the Ballgame” that has ever been sung outside a baseball stadium. And the wild goose comes back to life. Domenique Lozano’s staging of Sirkku Peltola’s Happy to Stand starts the second day of performances for us. 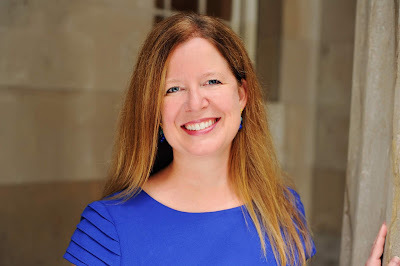 When I last spoke to Domenique, she’d worried about being able to fit the entire first act of the play into the one-hour slot she’d been allotted, so I wasn’t surprised to see that she’d had to make some hard choices—one of which was losing Gram’s prologue. Instead of hearing Gram’s introduction about living in a 78-square-foot apartment with her daughter, Aili, we are immediately sucked into and trapped in that oppressive tenement, which is surrounded by the audience on three sides, with a wall on the fourth, and packed with a couch, a makeshift kitchenette, and a shower. And yet, is their living space really that small? Even when Aili’s two rude children unexpectedly return home on the same day, and Gram’s secret friend, Iraqi immigrant Hamed Sahel, pays a visit, is it really that small? Hamed politely puts their situation in perspective: “You have a warm room, clean water, electricity, and a bed. . . . Where I come from there can be ten people in a small mud hut, lots of people, lots of love.” Meanwhile, Aili is unraveling: “Is it possible for a rewarding existence to rise out of the daily tedium which inhabits and overwhelms me?” Perhaps this is why she is attracted to Hamed. Perhaps this is why, by the end of the play, she invites him to join her in her crowded home. Because Hamed’s answer to her question would be, yes, a rewarding existence is always possible. In fact, most things seem possible after the Sky Festival. There was an unspoken hopefulness in the 13 projects that this happy band of 38 brothers (and sisters) put on. Sometimes this hopefulness came out in the themes of the projects themselves, but even surrounding the more somber pieces there was the buzz of optimistic energy. “We did it,” the casts silently expressed. “They did it,” the audiences silently agreed. “The imagination runs on electricity,” Gram tells her granddaughter in Happy to Stand, but the imagination also creates electricity—we felt it, all day, for two days straight.